Brokers & Owners: Promote your listings & more! Here you will find your folders where you can save listings and communicate with your agent. 519 West 29th Street will stand near the northern end of the High Line along with a slew of other new developments. Rendering via Six Sigma. Development is booming on West 29th Street in West Chelsea between Tenth and Eleventh Avenues, with four new residential buildings due for completion on the block within the next few years. Smack in the middle of it all will stand 519 West 29th Street, Six Sigma’s latest condo development. The building will top out at 10 stories and feature a glass façade with many rectangular balcony alcoves. Inside, residences will feature hardwood flooring and balconies flanked by lush walls of green. The boutique design and build firm purchased the site for $54.75 million in late 2015, and is currently the home of a 6-story self-storage warehouse. Once demolition plans are approved, the site’s zoning regulations will allow for the construction of up to a 74,000-square-foot building. Jason Lee and Johnny Wan of Six Sigma are spearheading the project, now with the help of a trio of Shanghai-based private equity investors. Just last week, Mingtiandi reported that GEMA Capital Partners, Shanghai Prosperity Fund, and Infinity Global Advisors have taken a majority stake in the project. The building will be distinguished by glass balcony alcoves. Rendering via Six Sigma. Next door at 522 West 29th Street, Soori High Line is nearing completion as an 11-story, 27-unit condominium building. Designed by SCDA Architects, the building will have a distinctive slatted wood, metal, and glass façade, and home to sixteen residences that will have their own private pool. A few doors down, Cary Tamarkin is designing and developing a 12-story, 32-unit condo building at 550 West 29th Street, also due for completion next year. Finally, on the corner of West 29th and Tenth Avenue, Lalezarian Properties’ trio of rental buildings Maestro West Chelsea will bring 375 studio, one-, and two-bedroom apartments to the area. The tallest building of the trio will stand as West Chelsea's tallest tower, with 220 units and a height of 425 feet. The site is currently occupied by the 6-story Tuck-it-away self-storage warehouse. 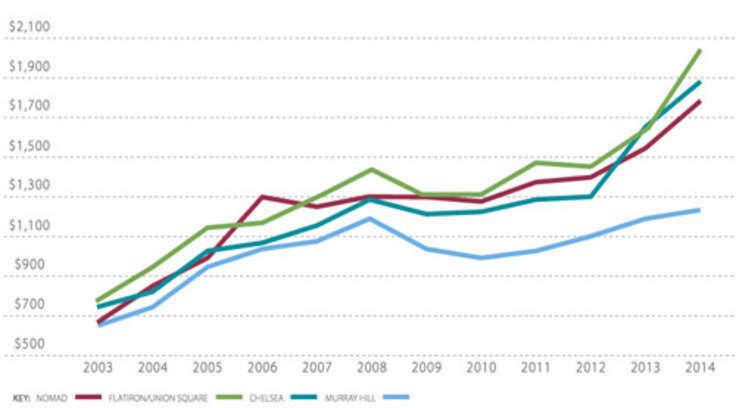 In Chelsea, there are currently 269 condos for sale with a median price of $3.4 million, or $2,019 per square foot. The average closing price for a condo in the area in CityRealty's October market report was $2,108 per square foot, up from last October’s average price per square foot of $1,995. Contributing Writer Katy Cornell Katy Cornell is a Long Island native with a passion for writing about real estate in the big city. 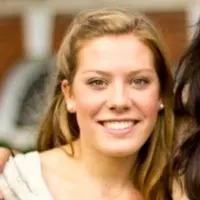 She recently graduated from the University of Virginia with a BA in English and is a frequent contributor to CityRealty's Market Insight and NYC real estate blog 6sqft. latest news around New York City real estate. Follow us on Instagram. Follow us on Linkedin. All information furnished regarding property for sale, rental or financing is from sources deemed reliable, but no warranty or representation is made as to the accuracy thereof and same is submitted subject to errors, omissions, change of price, rental or other conditions, prior sale, lease or financing or withdrawal without notice. All dimensions are approximate. For exact dimensions, you must hire your own architect or engineer and for no listing shall the number of bedrooms listed be considered a legal conclusion. All closed sales data has been provided by the New York City Department of Finance via the Automated City Register Information System (ACRIS). No warranty or representation is made as to the accuracy of any data provided by ACRIS or any other sources.